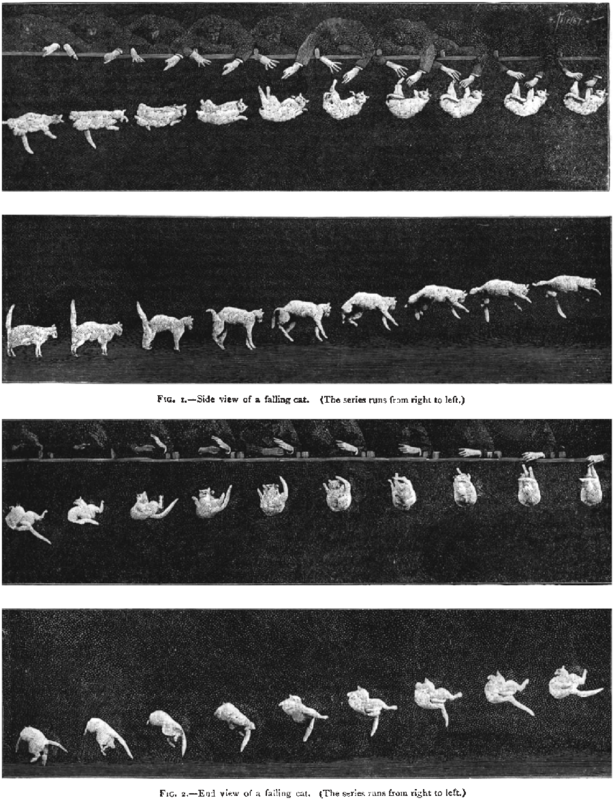 Despite Marey’s seemingly clear photographic evidence, many physicists continued to believe that the cat was using the dropper’s hand as a fulcrum. It would be more than 70 years later until the riddle was finally solved, in Kane and Scher’s 1969 paper “A dynamical explanation of the falling cat phenomenon”. For more info on how the cat manages it see the great Wikipedia entries under “Falling Cat Problem” and “Cat Righting Reflex” (both of which include a handy diagram) and also this video from Smarter Everyday.